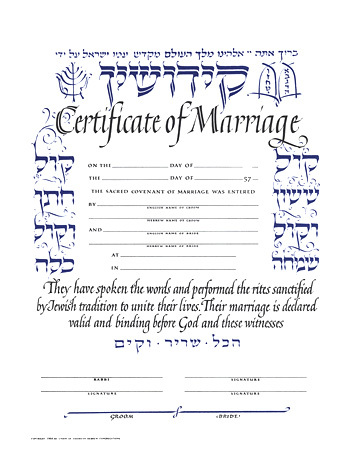 Marriage certificate. 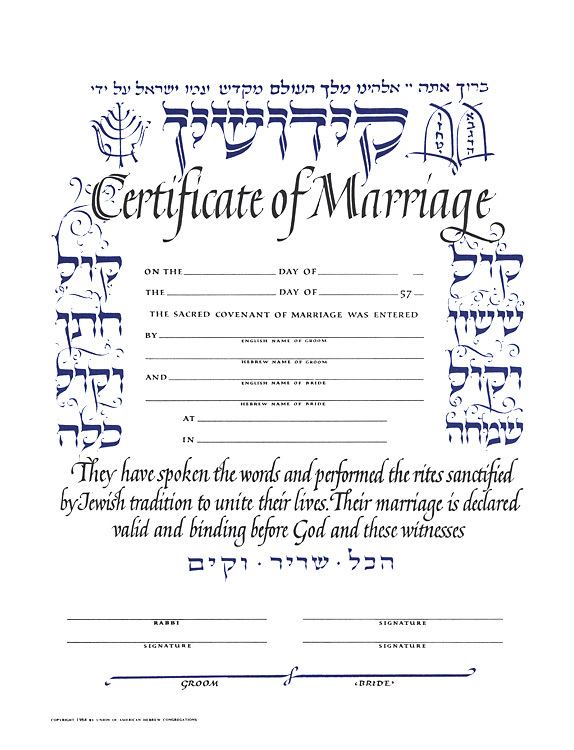 One of a series of certificates done for the Union of American Hebrew Congregations. 1964. This, like the two preceding certificates, is probably a reprint and no longer has the original 3-color color scheme. Offset.